Miranda Enriquez--heartinbalancetherapy.com - Heart in Balance Counseling Center: Holistic Therapy Integrating Body, Mind and Spirit. Miranda entered the field of psychotherapy after spending more than 2 years working with Child Protective Services. It was from this work that she discovered how family systems effects and nurtures specific systems and narratives which a person holds for themselves, whether they are healthy or accurate. After her previous work, she decided she wanted to deepen her work with clients to help them have fully find their resources and solutions in their narratives. She holds that doing so will assist clients to develop more healthy relationships and fulfilling lives. 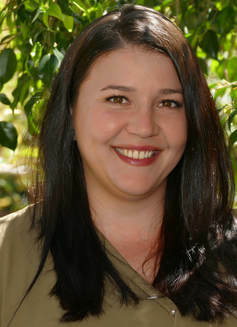 Miranda brings a supportive, positive and empathic presence to her work with clients. She helps them organize their thoughts, discover places of hurt and sometimes trauma. By providing warmth, security and a respect for the client’s own capacities she helps them release the pain and grief of their narratives and to recognize and work through the blocks to living authentic lives. Miranda uses a variety of approaches and techniques to address the client’s challenges. Some many come from helping client speak the words out loud, to discover the misguided beliefs her client holds which keeps them stuck, and to collaboratively develop a plan for actively facing and acknowledge the pain. She utilizes a strength based approach such as Solution Focused and Narrative Therapy. Throughout her previous professional role at CPS, and her personal life, Miranda has been engaged with individuals from different cultural communities, such as religious backgrounds, race, age and sexual identities. She approaches her client’s work integrating their personal and cultural narratives.